Born in Sao Paulo, Brazil, of Lebanese background, Gisele has been part of the New York City flamenco scene since her arrival in 1999. 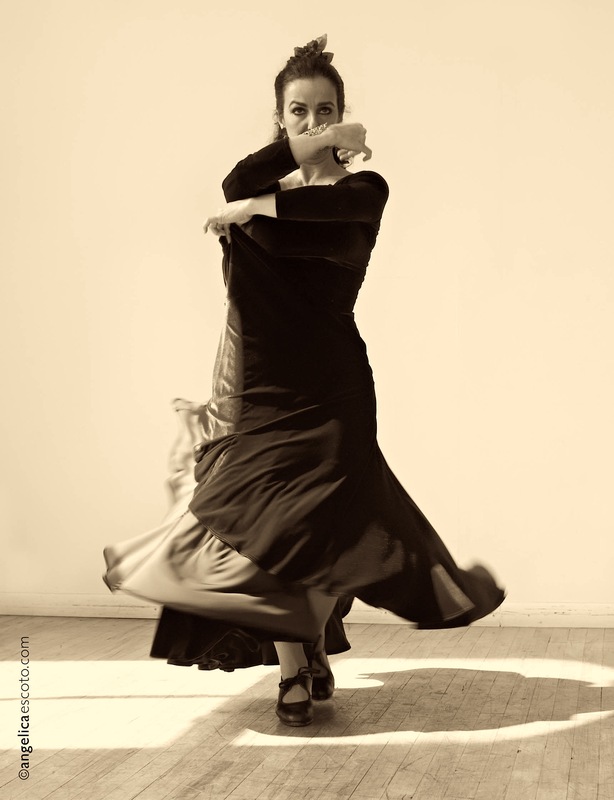 Prior to moving to New York, she was a member of two flamenco companies in her hometown from 1988 to 1995: Laurita de Castro Flamenco Company and the Tarantos Company de Arte y Baile Flamenco. She then traveled frequently to Madrid, Sevilla, and Jerez, where she took classes in the legendary Calle Amor de Dios studios with such artists as Maria Magdalena, Tomas De Madrid, El Ciro, Carmela Greco, Paco Romero, Alfonzo Losa, and Miguel Canas. In 2009 she received a scholarship to study Flamenco singing at the Cristina Hereen Foundation in Sevilla. In New York she has received instruction from Nelida Tirado, La Meira, Soledad Barrios, La China, Ana Romero, Raquel Heredia, Isabel Bayon, Bruno Argenta, Alegria Suarez, La Conja , Oscar Valero, and Concha Vargas. As a performer she has been a dancer, singer and teacher as part of the Alborada Spanish Dance Company, Carlota Santana Flamenco Vivo, Danzas Españolas, and Val Ramos Ensemble, among many others. She has also performed in educational programs in Brazil and the Tri-State area, as well as in many flamenco clubs and venues. As a teacher, she worked at Ballet Hispanico and Third Street Music Settlement from 2002 till 2008. Gisele has been teaching Flamenco for adults and children in New York and New Jersey at Every Little Movement Academy of the Arts (NJ) and Piel Canela Center for the Latin Arts from 2008 to the present. Gisele is also a choreographer and teacher at Alborada Dance Theater Company, where she performs as first Dancer and Singer.